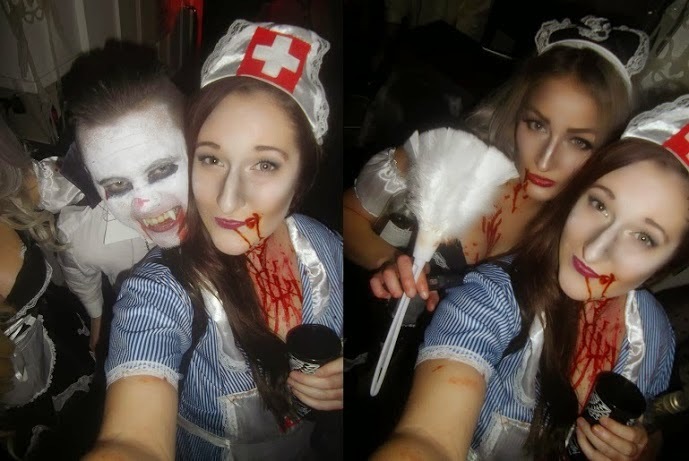 Floral Danielle: Our final Halloween at uni - Zombie nurse costume! 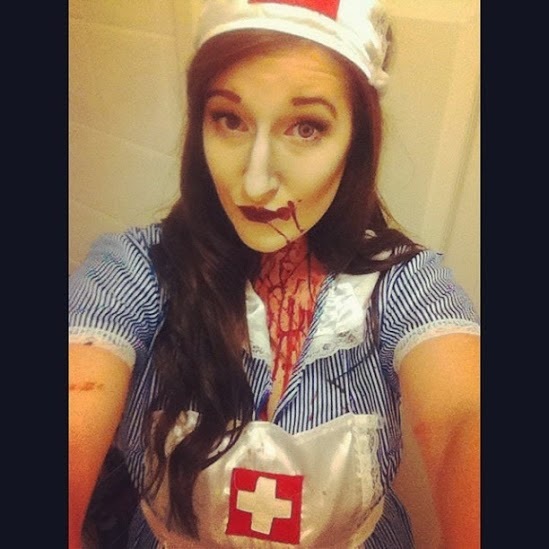 Our final Halloween at uni - Zombie nurse costume! I hope you all had an amazing Halloween! Sadly this is the last Halloween we'll all be having at uni cos we're in our third year, so we made sure we made the most of it! One of our neighbours had a house party, and we live in four level houses, so they made it into an epic 'Tower of Doom' and had challenges on each level, including pitch black tunnels, wheels of misfortunes and horrible shots! 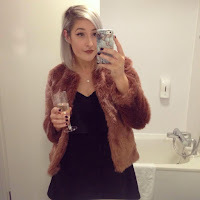 It was literally so much fun and I want to dress up every single day! 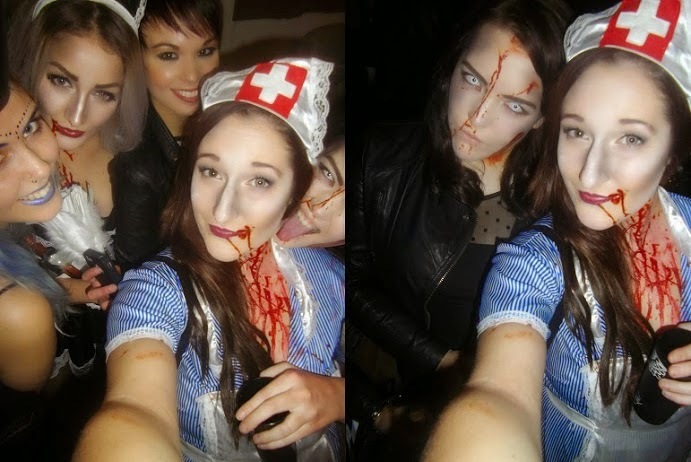 I ended up going as a zombie nurse and only wore one contact lens which actually gave a really creepy effect! What did you go as for Halloween? Which is your favourite costume out of them all?